This patient is a 56 year old grandmother and mother of 4. 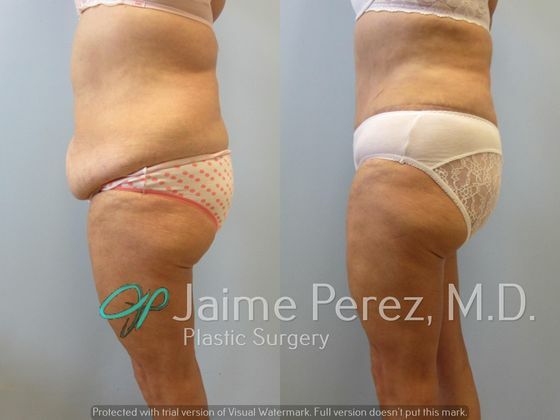 After many years of carrying lower belly fat she decided to improve her look with a Tummy tuck and Liposuction. Liposuction of her waist was performed to obtain a more feminine curve and improve her overall results. Her belly button prior to the procedure was located sideways; it was reconstructed and elevated for a more natural look.